With chat apps trending and conversational commerce on the rise, Four Seasons Hotels and Resorts has expanded its multi-channel Chat service with the recent addition of WhatsApp. 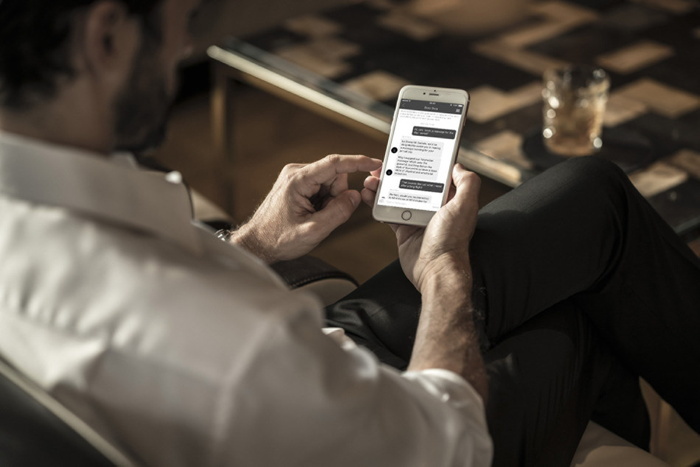 Since launch, Four Seasons Chat has exchanged over 3.5 million messages, allowing guests to connect with real people on property in real time. "The guest experience is our top priority, whether on property or when engaging with our brand digitally," said Christian Clerc, President, Worldwide Hotel Operations, Four Seasons Hotels and Resorts. "Four Seasons looks at things first and foremost through a human lens in our approach to effective and meaningful connection with our guests. Integrating new technology as part of our celebrated Chat service adds further value at each touchpoint in the travel journey and paves the path to our continued growth and innovation in the mobile space." Four Seasons launched its multi-channel messaging platform in 2017 without the use of chatbots. The service is 100% powered by humans and translates 100+ languages in real time, allowing for response times averaging 90 seconds or less. Guests can use Four Seasons Chat for any inquiry or service, big or small, including requests for restaurant recommendations and reservations, ordering room service, making or altering golf or spa reservations, obtaining advice on the best nearby shopping, notifying the property of a late arrival or early checkout, ordering drinks poolside, and even ordering a private jet. Since launching Four Seasons Chat in October 2017, guests can send and receive instant messages with property teams before, throughout and after their stay via multiple channels. In addition to WhatsApp, guests can use the Four Seasons App, Facebook Messenger, WeChat, KakaoTalk, LINE, Apple Business Chat and SMS, with Web chat on fourseasons.com in pilot phase (with roll-out across the portfolio in 2019), offering a choice of nine channels. Four Seasons Chat is currently available in 106 Four Seasons hotels and resorts and the Four Seasons Private Jet.